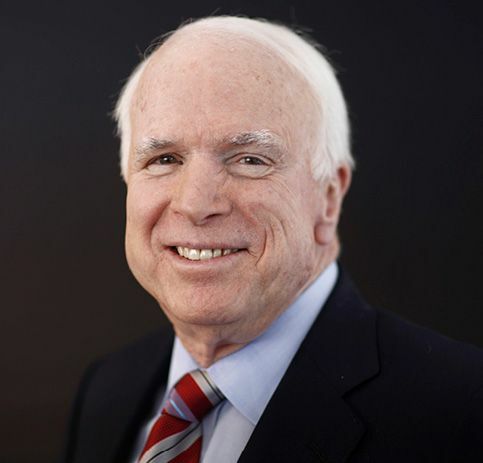 Born in the Panama Canal Zone, McCain “was bred for combat,” said The Washington Post. The son and grandson of four-star admirals, he initially rebelled at the weight of his family’s legacy and was known as McNasty at boarding school for his brawling and carousing. After enrolling in the U.S. Naval Academy, he trained as an aviator, survived three crashes, and earned a reputation for recklessness. McCain volunteered to serve in Vietnam and was on a bombing run over Hanoi in 1967 when a missile sheared his jet’s wing, said The Arizona Republic. “Seriously wounded, he was captured and would spend more than five brutal years as a POW.” He refused early release, vowing he’d only leave with his fellow prisoners, and was routinely tortured. Freed with other POWs in 1973, McCain returned home a war hero but with a lifetime disability: His injuries left him unable to raise his arms above his head. McCain headed to Washington in 1977 to run the Navy’s Senate liaison office “and caught the political bug,” said The Times (U.K.). He retired from the Navy in 1981 and settled in Arizona—home of his second wife, Cindy—with an eye toward running for Congress. Elected to the House in 1982, he soon earned his “maverick” label by opposing President Reagan’s dispatch of U.S. troops to Lebanon; he was vindicated a few months later when the Marine barracks in Beirut was bombed, killing 241 Americans. After two terms in the House, McCain won the Senate seat vacated by the retiring Goldwater. His success soon gave way to scandal, said The Wall Street Journal. He was one of five senators accused of pressuring regulators to go easy on a savings and loan association owned by a political benefactor. A Senate ethics committee ultimately found McCain guilty only of “poor judgment,” but to clear the stain on his honor he pushed for campaign finance reforms and helped pass a 2002 law barring unlimited contributions to political parties.